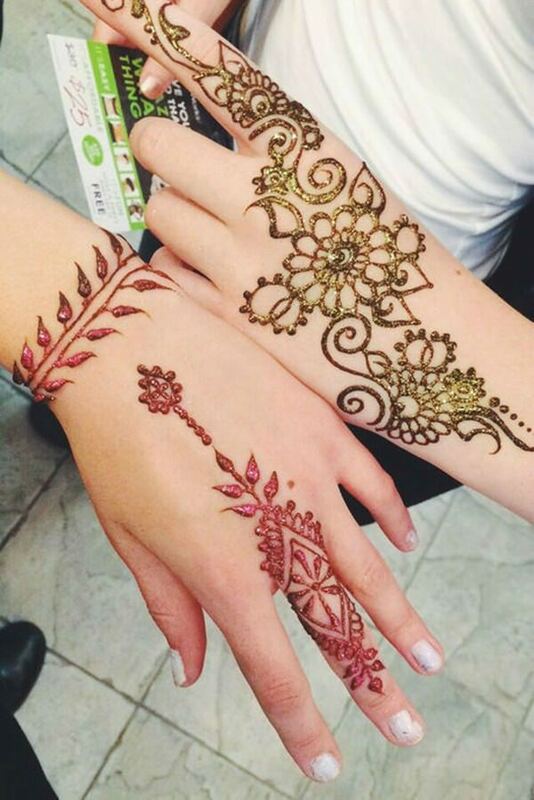 When you first hear the word “Henna,” you perhaps think of scantily clad, over-imbibing college students with temporary tattoos flooding areas like South Beach or Panama City. 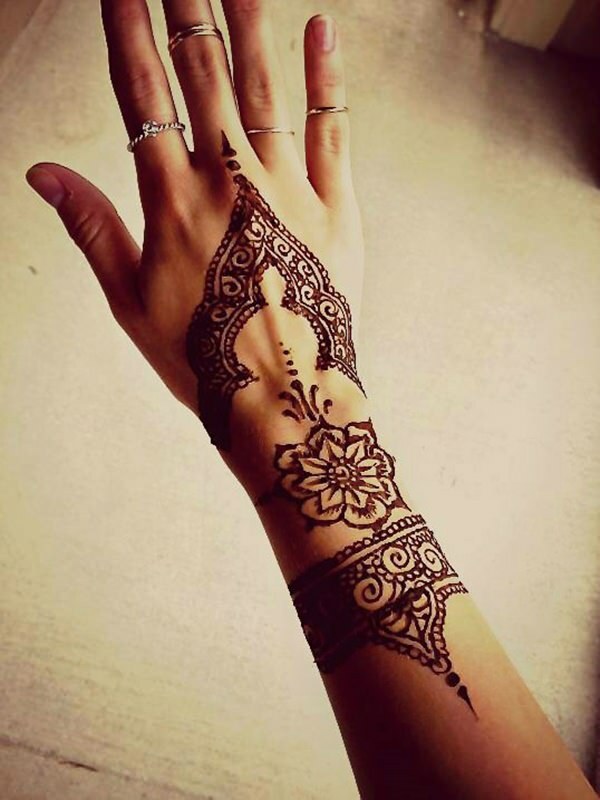 Sure, it’s possible to get a cheesy and basically meaningless tattoo that is marketed as “Henna” for ten bucks during a spring break trip, but Henna is actually a very elegant and traditional art form that has existed for generations, primarily in Asian, Middle Eastern, and African cultures. 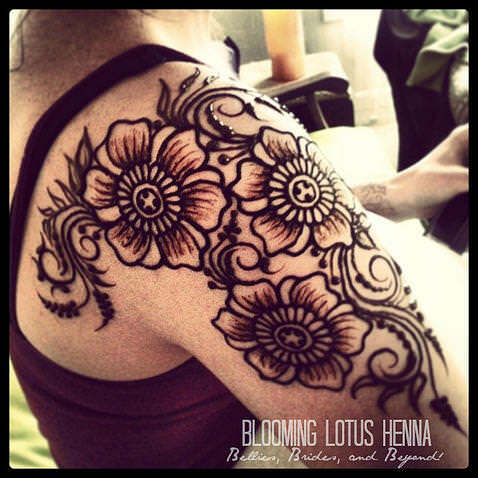 Henna is the name of a flowering plant that produces a deeply pigmented powder that can be mixed with water to create a dye that will color the skin without damaging it, making it an ideal material to use for temporary tattoos. Other natural materials, such as spices, coffee, and tea, can be added to the dye to produce a variety of shades. 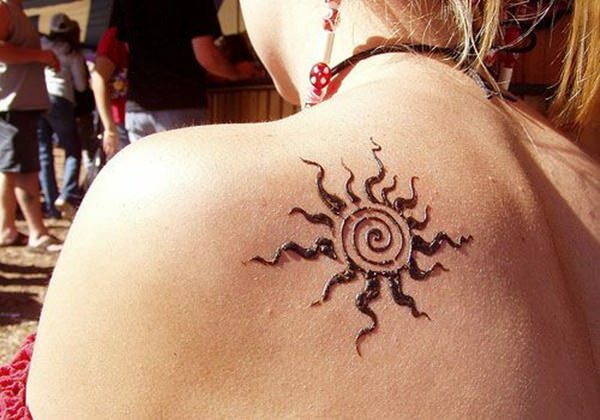 While the dye is in its boldest and most vibrant state after being on the skin for about two days, a Henna tattoo can last for up to two weeks, depending on the quality and amount of dye that was used in its original application. 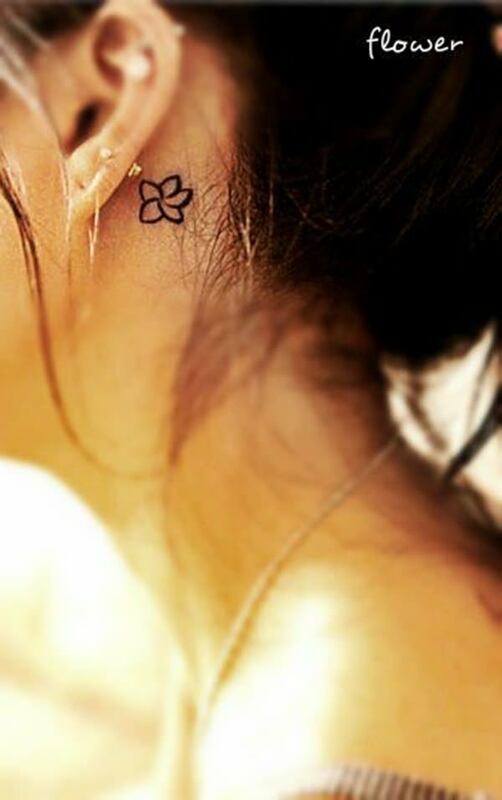 In some cultures, the dye is also used to temporarily color hair, but its most common and universal use is for relatively short-lived tattoo art on skin and nails. 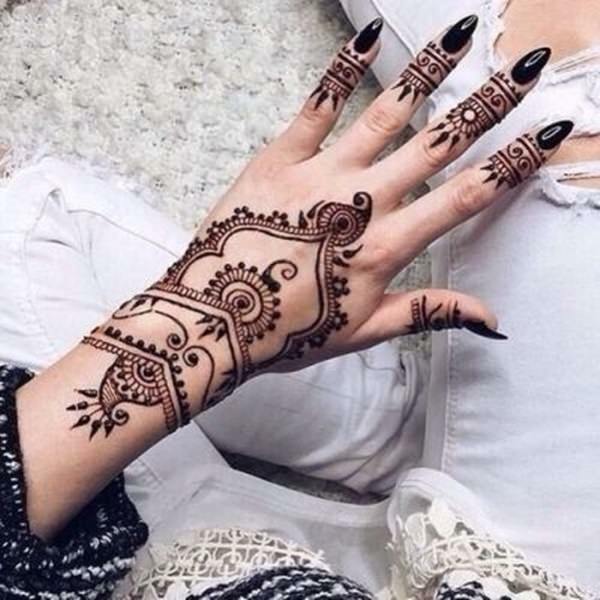 While Henna has gained popularity and is now seen all over the globe in modern times, it originated over 5,000 years ago in the Middle East, although no one knows exactly where and when it first appeared. 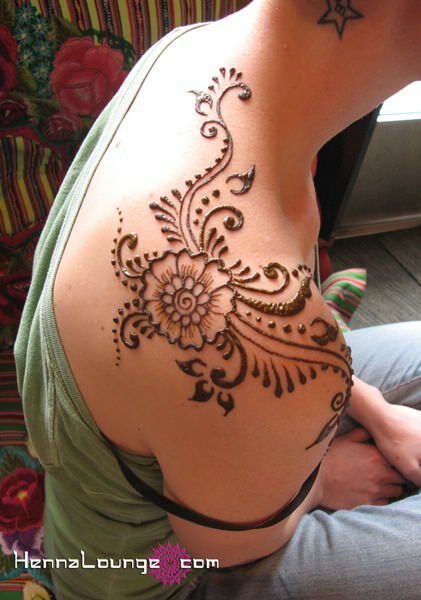 Used by all social classes, Henna body art was used for decorating the body, but also for spiritual healing. 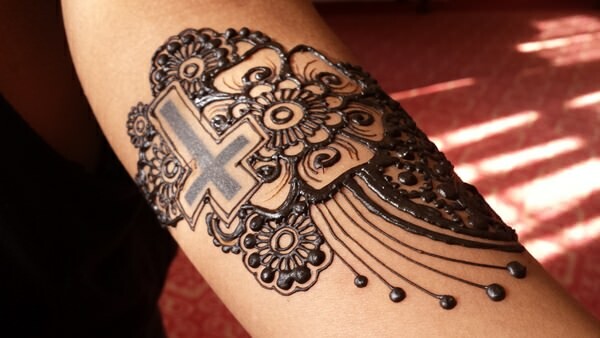 While some individuals simply appreciated the physical ornamentation that Henna art could provide to them, others believed deeply (and still do today) that the art form could deepen their natural awareness and sense of spirituality, depending on the materials used to produce it and the meaning behind various symbols that were etched onto the skin using the dye. 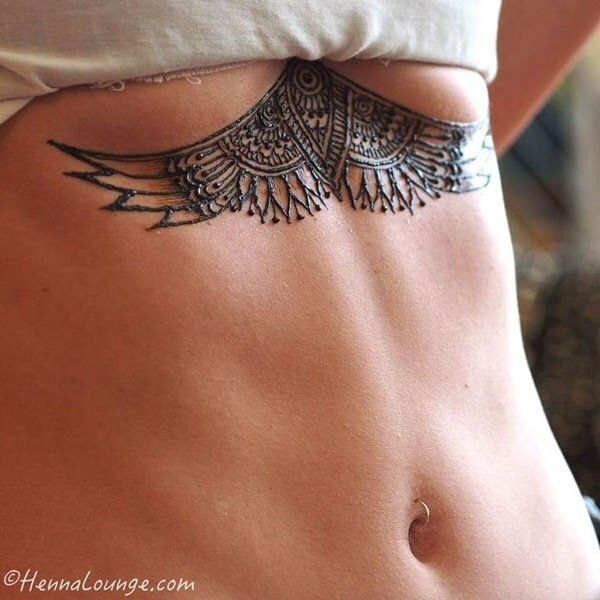 Regardless of what your reason may be for wanting to give Henna a try, we have searched high and low to present you with a variety of temporary Henna body tattoo ideas that are certain to awaken your senses and make you feel as beautiful as a god or goddess. 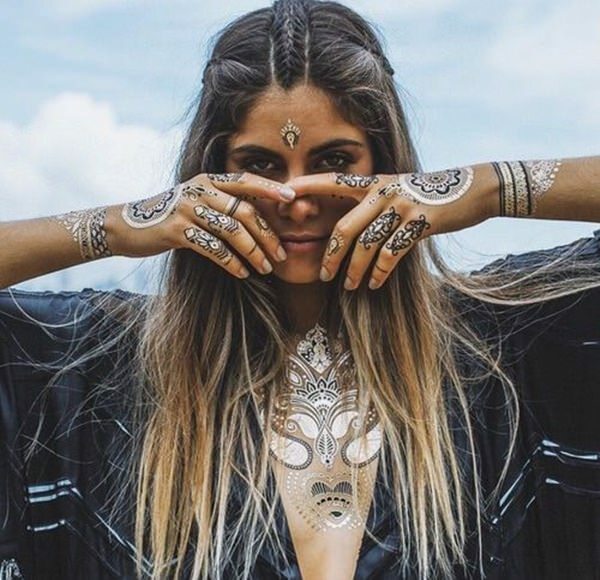 Whether you’re looking for a lavish design to wear on your wedding day, or something to make you stand out at a music festival this summer, get ready to be inspired! Painted delicately along the spine, this floral design is topped with a subtle coating of clear body glitter to create a gorgeous shimmer effect when the light hits it at just the right angle. 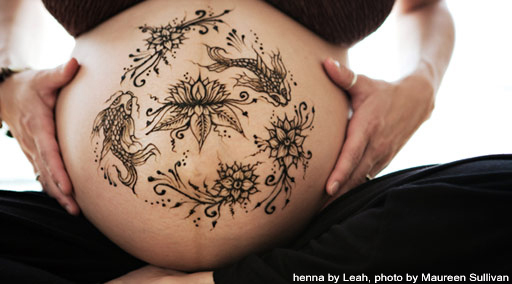 In the world of Henna art, fish typically stand for a woman’s eye, while flowers symbolize happiness and joy. 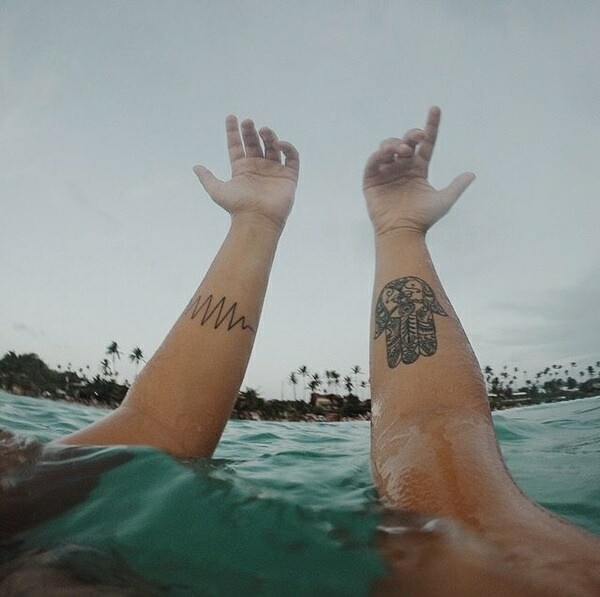 It seems fitting that a pregnant woman would adorn her swollen belly with these images, as a new child is certain to bring plenty of blissful joy to her life from the minute he or she is conceived. The tree of life is a beautiful concept that revolves around renewal and interconnectedness. Deeply rooted within countless cultures and religions all over the globe, the tree of life joins the heavens and life on Earth, making it a comforting and precious motif for those who may have lost loved ones or who desire a sense of kinship with others, both blood relatives and fellow inhabitants of the Earth. 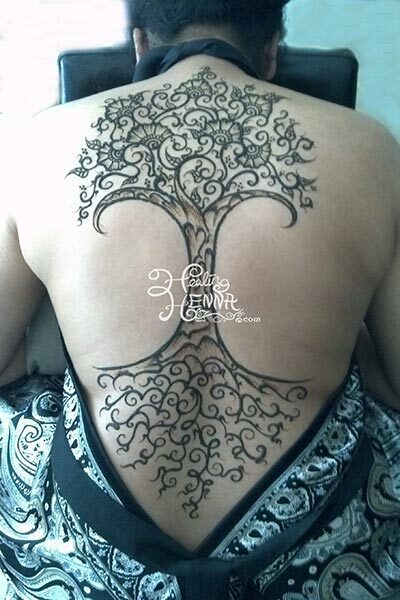 This elaborate Henna tattoo featuring the tree of life makes use of the entire back as a human canvas. According to the nonprofit organization Breastcancer.org, breast cancer is on the rise, with 1 in 8 women in the United States battling the disease in a lifetime. After an invasive surgery like a mastectomy, it can be difficult for a woman to learn to love her transformed body. We absolutely love the idea of adorning the area where a woman’s breasts used to be with an ornate Henna design like this one, a feminine style that looks like a piece of upscale lingerie at first glance. 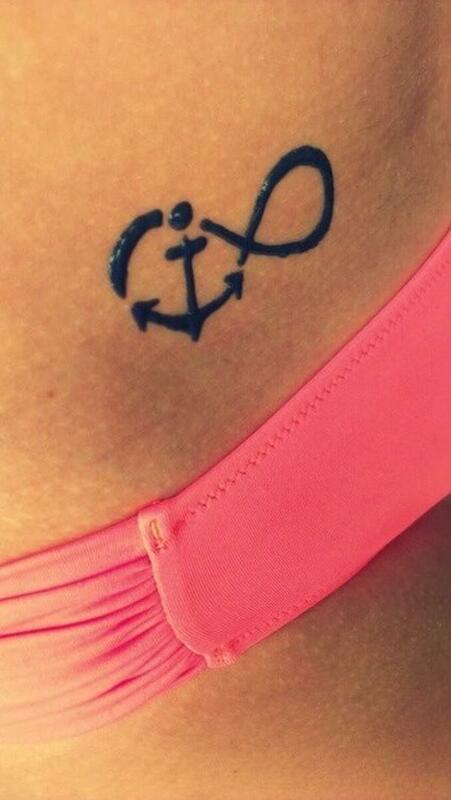 Such a gorgeous piece of art is guaranteed to make any woman embrace her shape and feel comfortable in her own skin. 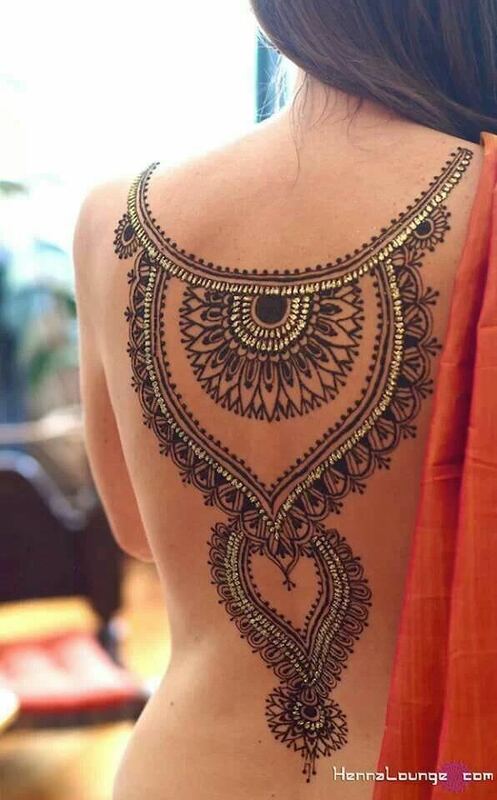 Whoever designed this stunning Henna tattooprovided the body with more ornament than any fashion designer or upscale jewelry store could possibly dream of offering. The gold accents within the full back design make it truly stand out against the rest. According to the women’s magazine Cosmopolitan, the average woman cares enough about her hair’s appearance that she spends the equivalent of ten days per year washing and styling it. If each woman tends to care that much about making sure that her hair is perfectly coiffed, imagine how she must feel to suddenly not have anything on her head to fix each day. 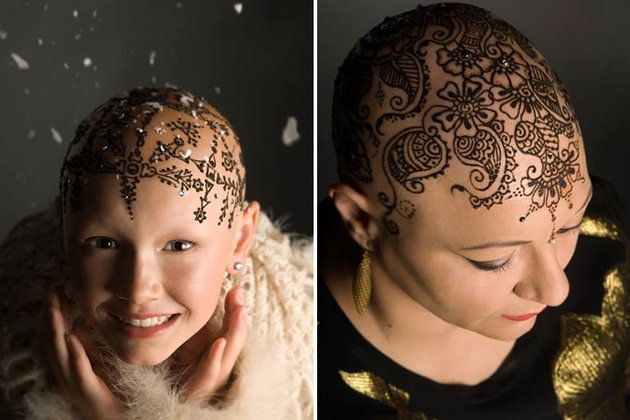 The concept of a “Henna crown,” or a gorgeous Henna tattoo designed on a bald scalp, allows women who face hair loss to look and feel just as strikingly beautiful as if they had a fresh wash, cut, and color from an upscale salon. 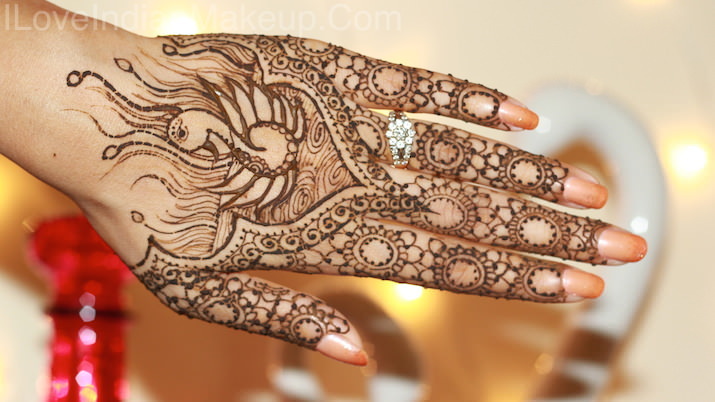 In the world of Henna body art, the elephant is a prominent symbol. Not only is it a magnificent creature to behold, this beloved animal generally symbolizes good luck. 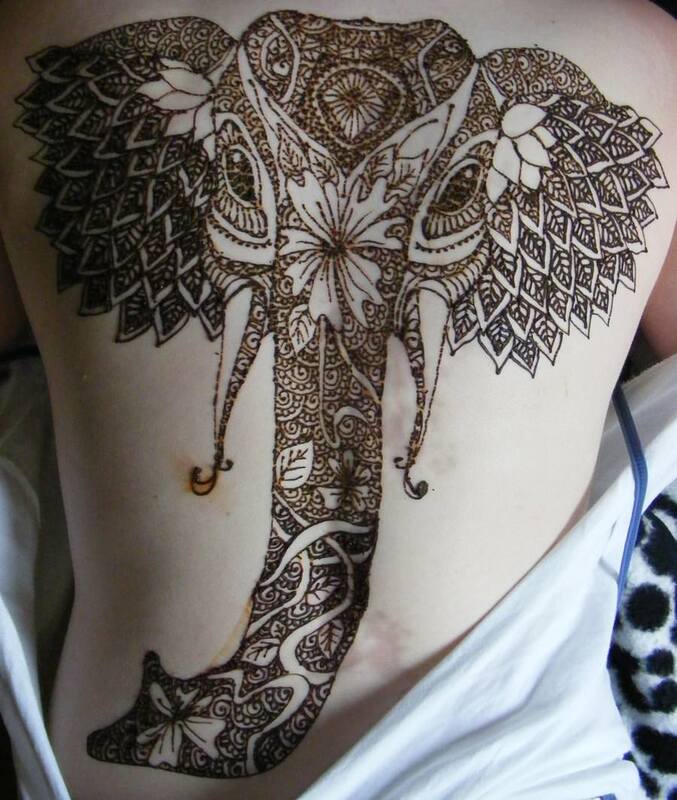 With an elephant Henna design like this one that covers the entire back, you will have plenty of positive vibes and good fortune covering you! 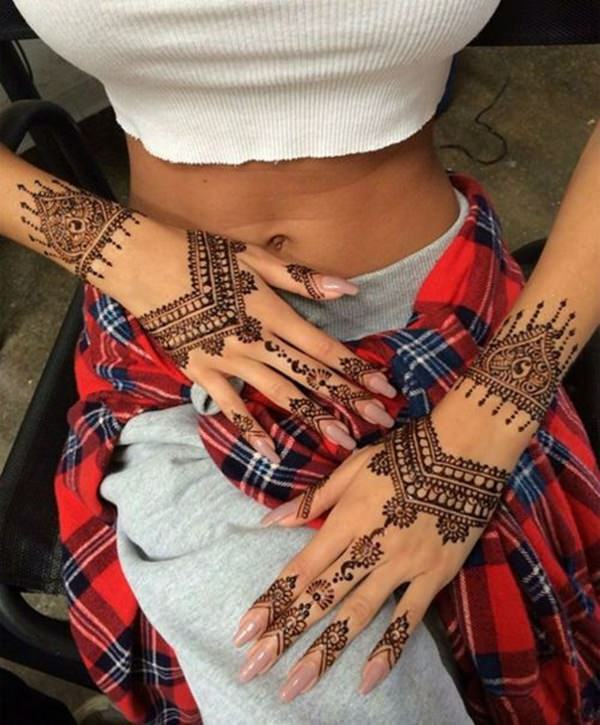 An intricately drawn Henna tattoo is undeniably lovely, but some may feel that it’s a bit much to wear to school or work on a regular day. 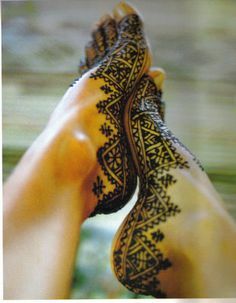 A foot design, like this one pictured that almost resembles a delicate lace slipper, is a great way to fill your life with Henna that can be covered and only shown when you want it to be revealed. 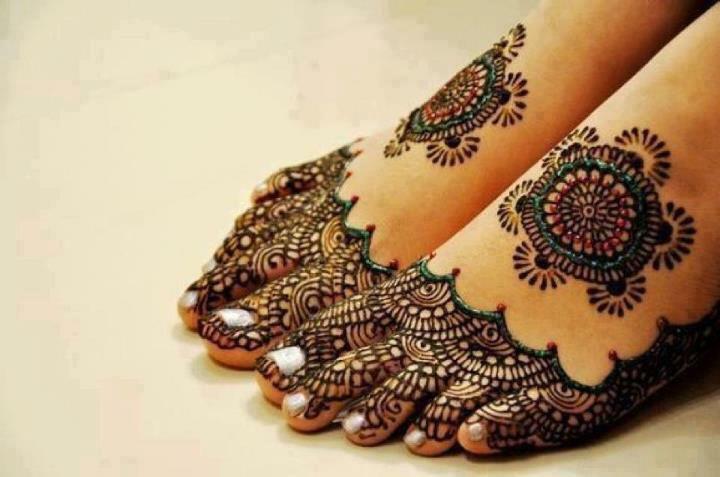 This lacey Henna foot tattoo also incorporates colorful medallions for a punch of playfulness and fun. 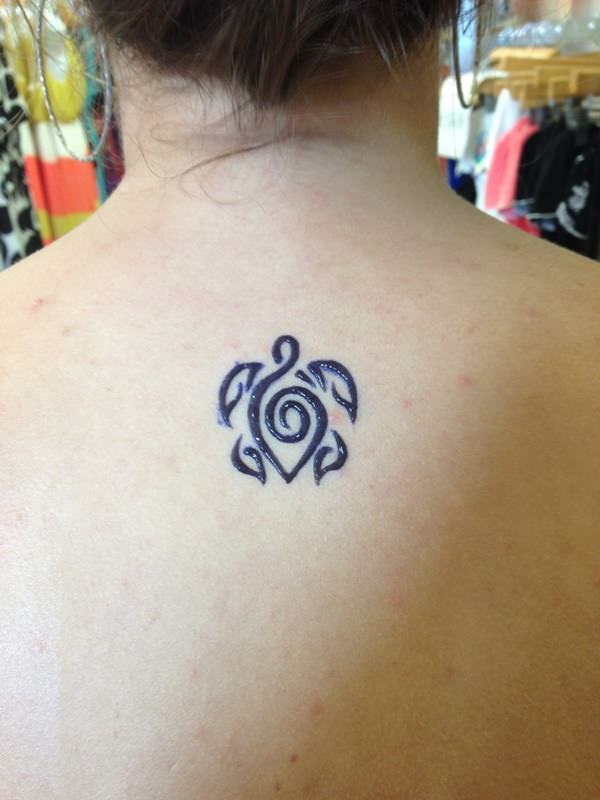 Many people who are interested in Henna tattoos may already have permanent tattoos on their skin. 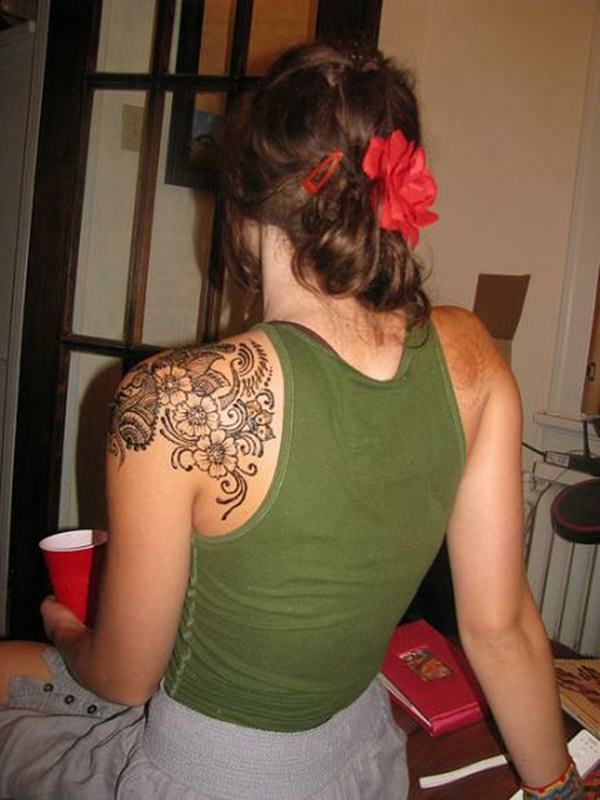 Create a 100% original look by incorporating your permanent tattoos into your temporary Henna design of choice, like this person did by having feminine blooms surround an already existent cross tattoo. 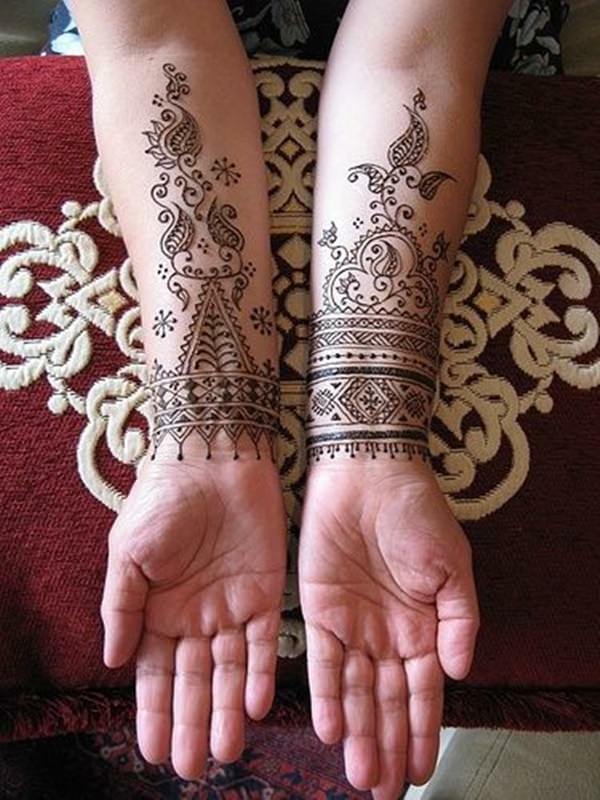 A luxuriant Henna design that covers the arms and hands is perfect for wearing to a formal occasion, such as a wedding or ball. We especially adore how this one is accented with itty-bitty crystals and reaches all the way to the fingernail beds. 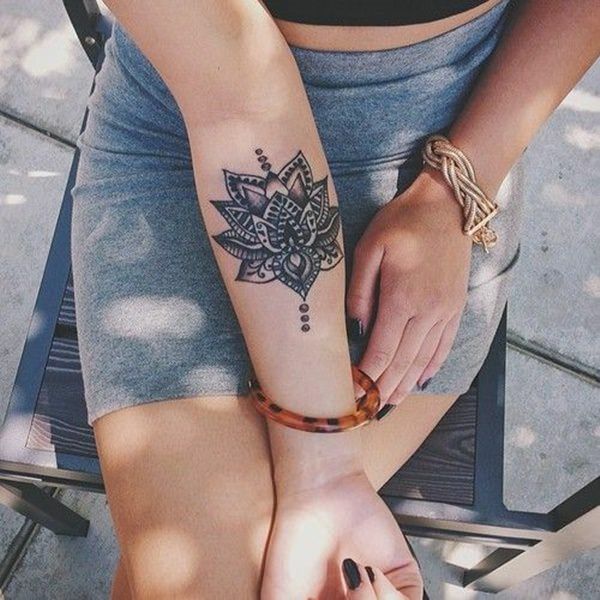 If flowers truly stand for joy and happiness in the world of Henna art, then this design is pretty much guaranteed to fill your life with pure bliss. 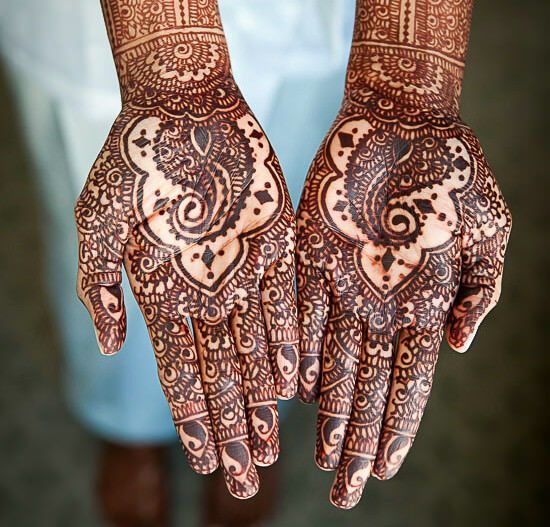 This patterned Henna tattoo covering the arms, hands, calves, and feet was applied to a bride’s body the evening before her traditional Indian wedding ceremony. In general, swans represent success. Whether it’s success in a marriage, career, or another endeavor, this is the symbol to choose if you want to achieve your biggest life’s goal. 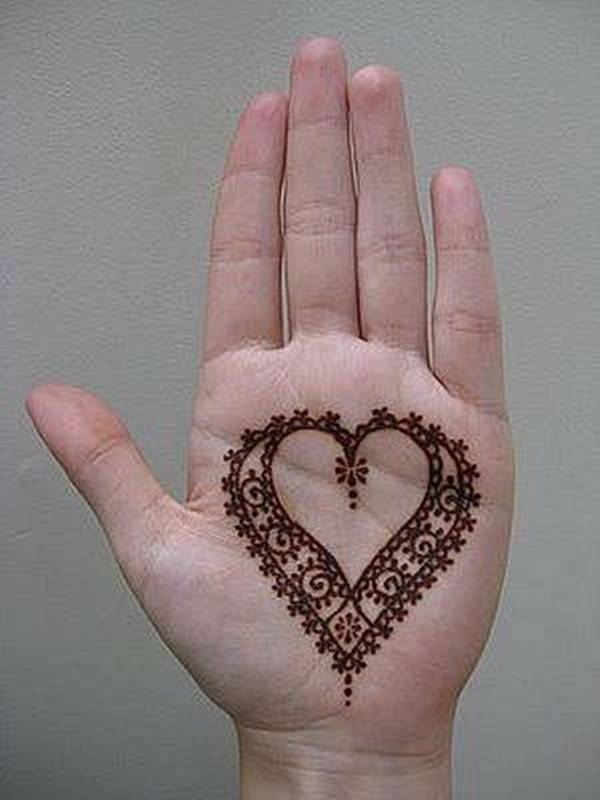 Those looking for a simple design without too much intricate imagery will adore this basic yet beautiful Henna tattoo idea. 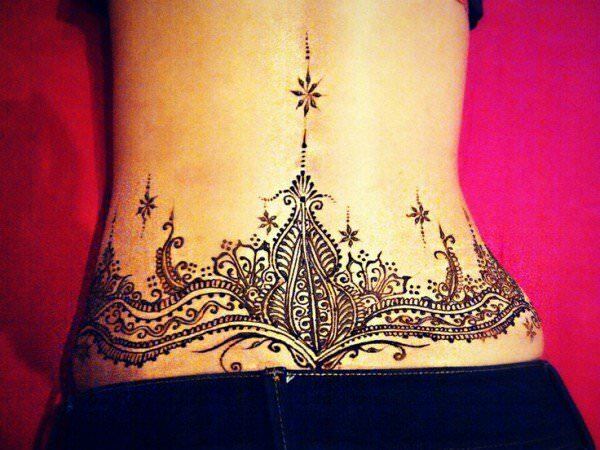 While lower back tattoos are often referred to as “tramp stamps,” this Henna tattoo oozes with classiness rather than trashiness! The curves of the design perfectly contour the natural curves of the body. 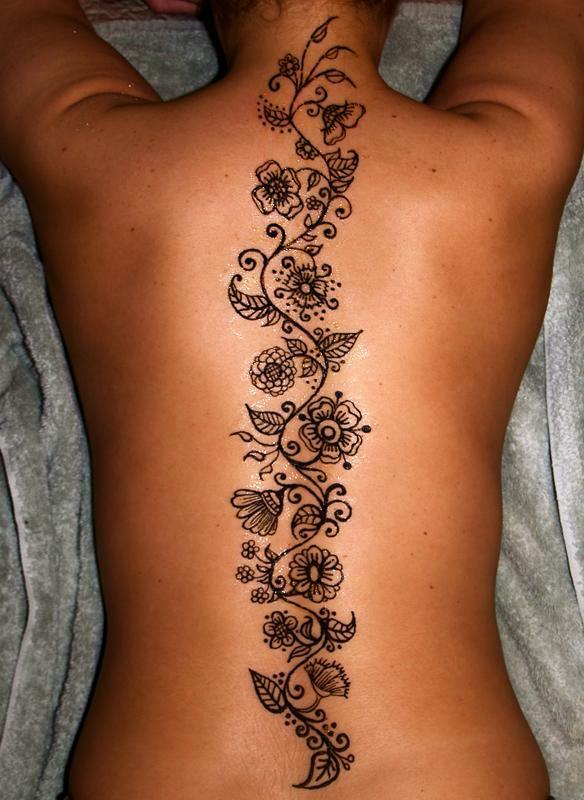 An alternative to the belly or lower back, the shoulder is a fantastic placement for those who wish to stay modest while rocking a Henna tattoo, like this relatively simple floral choice. 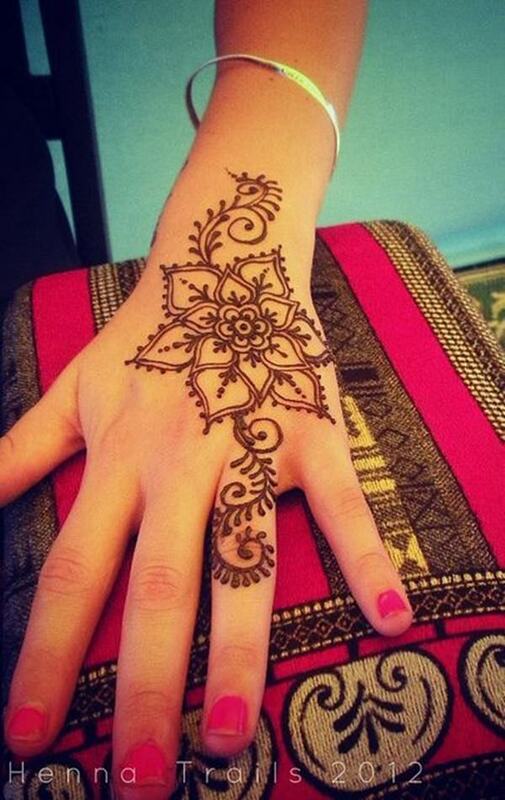 Contrary to popular belief, Henna tattoos do not always have to be drawn in reddish brown or black ink. 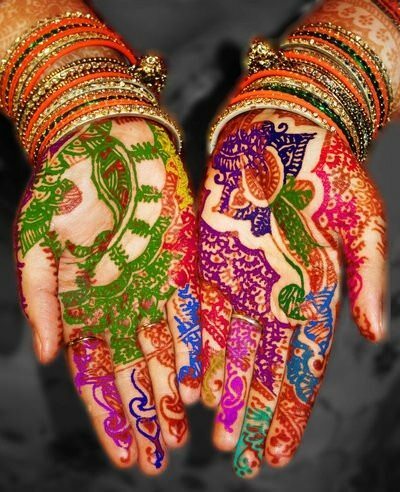 This hand design featuring basically every shade of the rainbow is an excellent example of how even the brightest colors can be incorporated into any Henna tattoo. 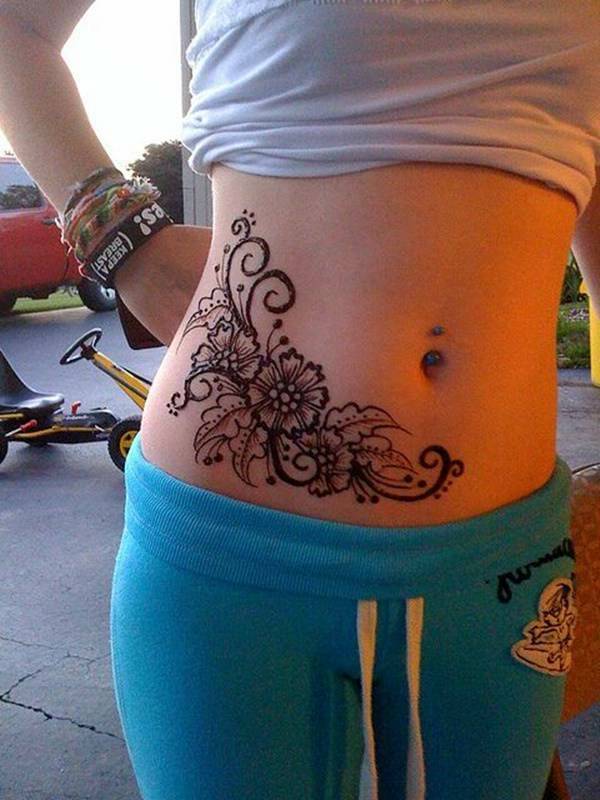 Those who select Henna art designs that include vines and leaves are often looking for tattoos that stand for perseverance. 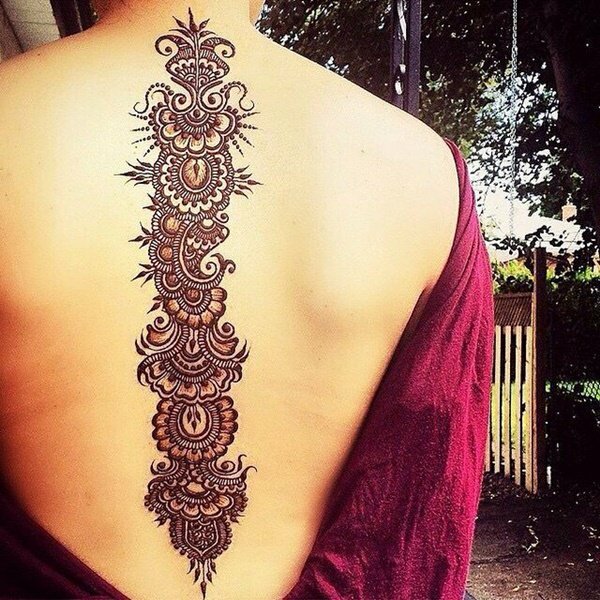 If you find yourself in a tough situation that is testing your ability to make it through the mires of life, opt for a large Henna piece that incorporates winding natural elements into its design. 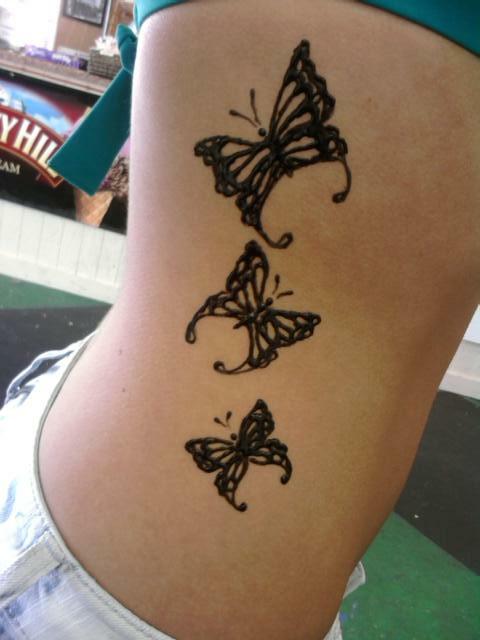 You will feel free and transformative if you choose to rock a butterfly Henna tattoo like this one on your body. While butterflies would look outstanding when placed just about anywhere, they look especially beautiful when drawn in a scattered formation along the hip or stomach. 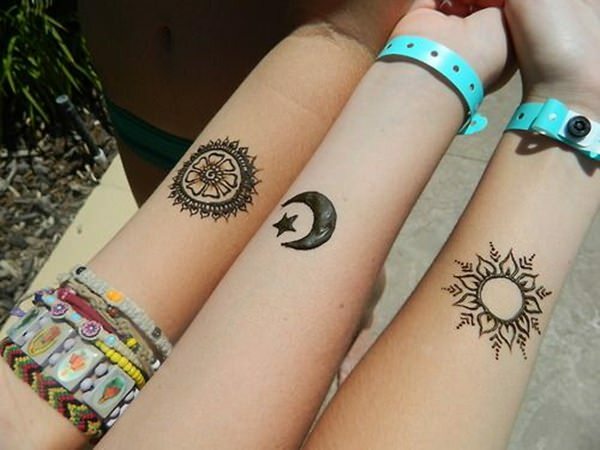 If you are simply a fan of the appearance of Henna and aren’t interested in its healing or symbolic qualities, don’t be afraid to have fun and incorporate pop culture into your design. 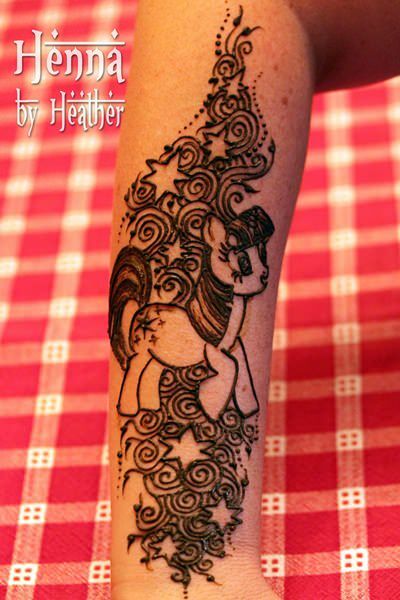 This full sleeve Henna tattoo featuring My Little Pony is an awesome way to pay homage to every girl’s favorite 1980’s cartoon character.